The 2019 Jaguar F-PACE sets a high standard for the luxury performance SUV segment. That includes an elegant and sporty interior featuring the best in craftsmanship and quality, premium materials. You will enjoy the luxury you expect for a Jaguar! In addition, to the many standard luxury features, there are many available features to choose from. That includes the optional performance seats which are perforated grained leather with adjustable side bolsters for an added sporty feel. The optional configurable ambient interior lighting creates a relaxing atmosphere with lighting available in 10 different colors. Did we mention the interior is also spacious? In fact, rear seat passengers will appreciate the 37.2 inches of leg room and the ability to seat three adults comfortably. 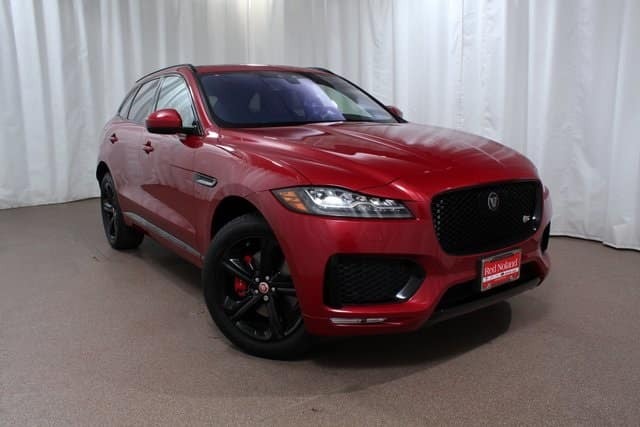 Visit Jaguar Colorado Springs today to see the 2019 Jaguar F-PACE. We have two Jaguar F-PACE S AWD models and one Jaguar F-PACE 30T Prestige AWD model for you to choose from!